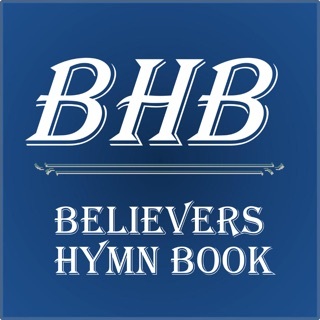 - search for hymns by title, writer, lyric, topic, and more! 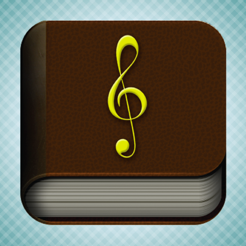 - tap the title or hymn number you want and jump right to the hymn… no fumbling for pages. 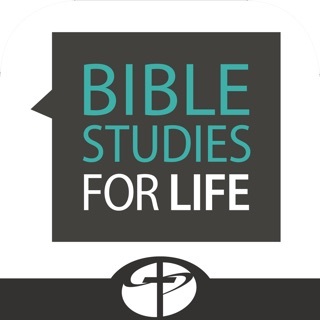 - zoom in to the page to see lyrics and notes at the size you need… great for older members in your congregation who have trouble holding the heavier book or seeing the notes. - no Internet connection required once the app is installed. 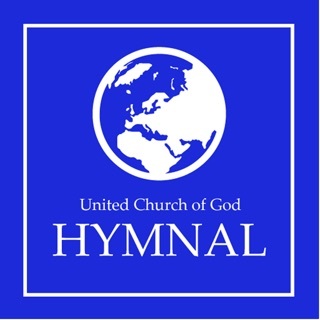 - SPECIAL OFFER: for only $9.95, you can purchase the rest of the 674 hymns and contemporary worship songs included in the printed edition, right from within the app! That’s 28% off the regular printed hymnal price! Whether you’re a worship planner, a worship team member, or you just love to see the notes to the song you’re singing, this app is for you! I reinstalled, but I only got the 200 free hymns. Delete the app from your iPad by pressing and holding the icon to make it wiggle, then press the x with a circle around it to delete. 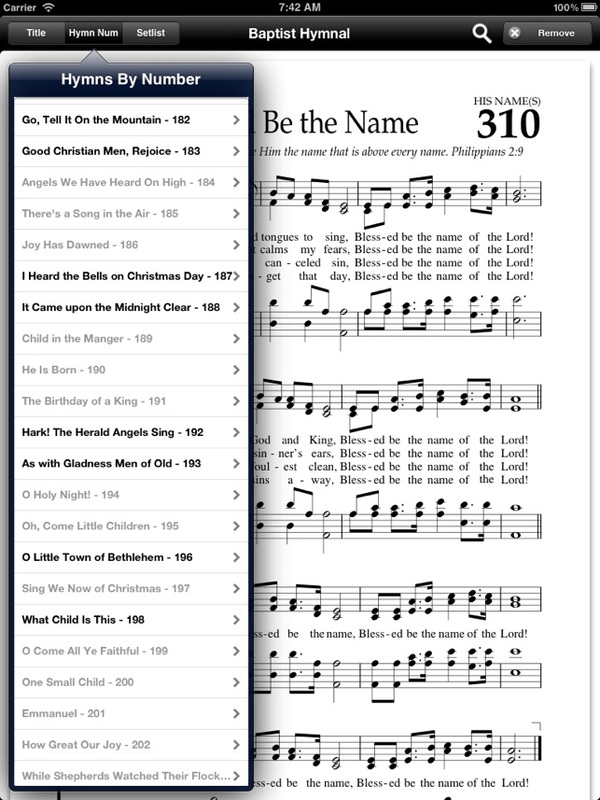 Then, launch the App Store from your home screen, and re-download the hymnal app. If you tap the "Purchased" icon at the bottom of the page, it should show you a little cloud icon that tells you you can redownload the application. 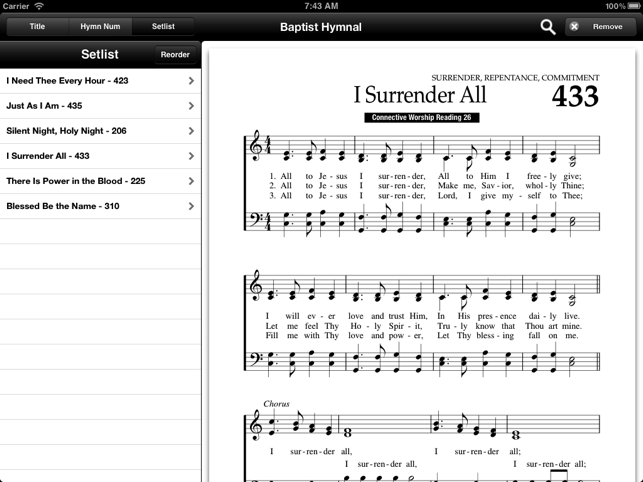 From within the app, click on a greyed-out hymn and "re-purchase" the hymns. 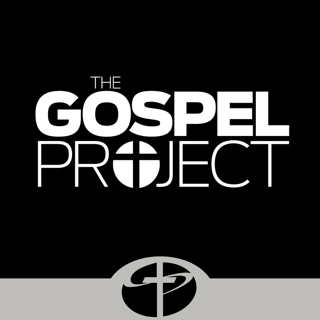 You will get a prompt letting you know that you've already made this purchase, and that you can redownload the hymns for free. 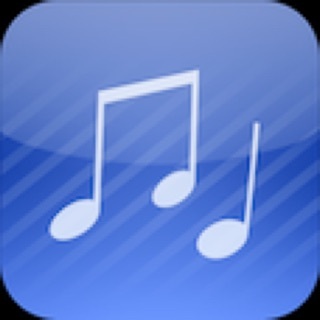 This should download the whole hymns package for you. You would think that a Christian organization like Lifeway would deal more honestly. This app is pretty much a rip-off of those of us who paid 9.99 for it. Not to be updated in this length of time is unacceptable. Nothing new here, I guess. I'd like to add my agreement to other reviews on several items. 1. 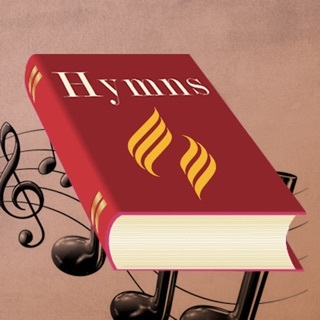 Make the app more like a book where you can page from hymn to hymn. A right swipe should take you from 622 to 623, etc. 2. Selecting either TOC should open at the hymn that you are viewing, not the beginning of the list. 3. The Setlist should page from one hymn to the next, you shouldn't have to go back to the index each time. The search function is pretty hopeless. Really difficult to use. Typing "What" brings up a whole list of titles including, Abide with Me. Function needs some polishing.I hope you will update soon. 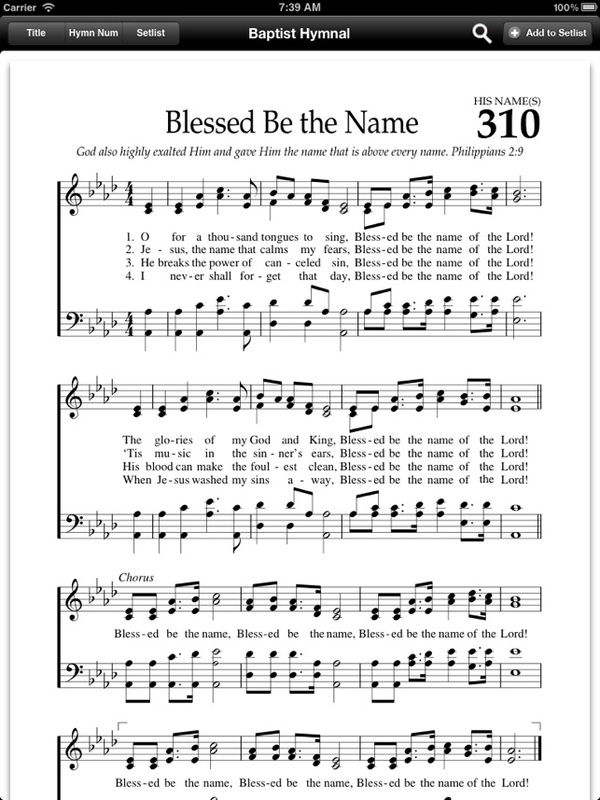 Our church no longer uses hymnals (sadly) but as a musician, I hate to sing off a screen with no notation. Wish I had known that all I had to do is type in my password again and it would give me the message that I had already purchased it. I didn't want to spend the $9.99 again. Even called Apple support and they could not help me. You are correct, once I agreed to purchase it again, it gave me the message that I owned the product and downloaded all the songs. Thanks for writing that review.